A really useful Ministry of Defence web site. The Association has branches in Bristol, Buckinghamshire, Cornwall, Derbyshire, Devon, Essex, Gloucestershire, Hampshire, Hertfordshire, Kent, Leicestershire, Lincolnshire, Greater Manchester, Merseyside, Nottinghamshire, Staffordshire, Sussex, West Midlands, Wirral, Yorkshire. It has been reported to me that unfortunately Mr. A. J. Farthing has died. Could the new secretary please let me have his address. Bill Edwards is the Secretary of the The 43rd. Wessex Association. He can be contacted by tel: 023 80253847, Fax: 023 80255021, or by E−MAIL . 50th. Missile Club Royal Artillery. Re-unions are held annually at various venues through out the country. For further information or membership, please contact the Secretary, Tony Todd by E−MAIL or Tel: 01387 262378 or E−MAIL Dave Jones. You can also visit their WEB SITE . or by telephone on 01482 868147. Did you serve in Korea in the fifties? If so would you like to renew old friendships. The Roade Northampton Branch of the British Korean Veterans Association extend a welcome to come along to the Ex-Services Club on the Second Sunday in each month. British Nuclear Test Veterans Association. Cameronians (Scottish Rifles) Memorial Club. Social gatherings every weekend evenings, 9 Hollyrood Cres. Glasgow G - 20, membership consists of Ordinary (Ex-Cameronians) and extra Ordinary (Ex-Services). E−MAIL Gavin Bate's for more details. All service men or women who served in the Far East, at any time from 1939 onwards, are invited to join the Association's Manchester Branch. Farnworth Ex-Services Association meet on the Second Wednesday of every month at 1300hrs at Farnworth and District Veterans Club, Brackley Street, Farnworth, Bolton, Lancashire. or Mr Ken Burgess, Secretary, tel: 01204 793772. We are a Charitable Organisation and aim to keep alive the comradeship formed in military service and provide welfare for our old and needy ex-servicemen and widows. Hon Secretary Mr V Bradley, 47 Willerby Road, Woodthorpe, Nottingham, NG5 4NZ Tel: 0115 9266721. The objects of the association are to promote the efficiency of the Grenadier Guards and to maintain it's history, traditions and 'espirit de corps'. To receive either generally or individually, persons who are serving or have served in the Regiment, or their dependants, who are in conditions of need, hardship or distress. Annual membership from 1st Jan to 31st Dec �0.50. Monthly meetings are held on the 2nd Friday of every month, with the exception of December, at the Victory Club, Church Drive East, Daybrook, Nottingham, starting at 7-30 p.m.
President: Captain R M Micklewait. Vice President: Maj Sir Hervey Bruce Bt. Open to all 'Ex-Freds' and permanent staff who were part of the 'Old Park Barrak' experience. This association is new and needs your support if you were either a Junior Leader R.E. or ex-permanent staff have a look at their WEB PAGE. Middle East Forces Veterans Association. The National Ex Services Association was set up many years ago by former Manchester regt soldier Arthur Lane(a captive of the Japanese during WW2). Its aim was to bring attention and voice to the causes of Ex Forces personnel and also to act as a forum for those who had served in previous wars and conflicts to discuss things together. Have a look at their WEB PAGE for all the details, or contact them by E−MAIL . The Swindon Branch of the National Malaya and Borneo Veteran's Association meet at 8 p.m. on the 3rd Wednesday of every month at the RAF Association, Swindon Branch HQ, 41-43 Bell View Road, SWINDON, SN1 3HW. For further details contact the Secretary, Godfrey Burton on 01793 827210. 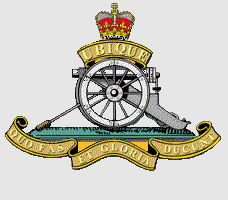 The Parachute Regimental Association (Lothian Branch) meet on the Third Sunday of the month, at 1400 hours, in the Royal British Legion Scotland (Central Branch), Rodney Street, Edinburgh. For further details visit their FACEBOOK SITE . Queen's Royal Surrey Regiment Association. Open to all ex-members of the Queen's Royal Regiment and the East Surrey Regiment. Membership include's Bi-Annual Newsletter and news of various reunions and functions. There is an �8 joining fee and after that membership is �2 per annum. The Glasgow Branch of the Royal Engineers Association meets on the 2nd. Wednesday of every month at 7:30 p.m., at the TA Centre, Hawkhead Road, Paisley. The Branch covers West Central Scotland, and has an excellent Welfare Section. For details contact the Secretary, Frank McGrogan on 01698 293573 or by E−MAIL . The branch meets on the 3rd. Tuesday for each of the months, September to April, and then the 3rd. Thursday for the months, May to August. The meeting is held at the Indoor Bowling Club, Coatbridge at 20.00hrs. We are active in REA functions such as Rippon, and have a varied program of dances, golf and bowling. All ex-Royal Signals, including WRAC and ATS welcome. Contact Cyril Foster, evenings only please. Meet at 1 p.m. on the 1st. Sunday of every month, at the Ladybarn Royal British Legion Club, in Beverly Road, Ladybarn, Manchester. The Royal British Legion Club is five minutes easy walk from Mauldeth Road Station for rail services from Piccadilly. Meet at 7:30 pm on the 3rd Tuesday of every month in the Royal Naval Association Club, Queen Victoria Road, Llanelli. New members and partners are always welcome. Our aim is to try to locate the remainder of all Taiwan POW camps, and to make sure the men from all the Commonwealth and Allied nations who were imprisoned in them have not, and will not, be forgotten. We also actively participate with the local Commonwealth governments each November in a service of remembrance for the former POWs at Kinkaseki. We have heard from a great number of former POWs and next of kin and would welcome any correspondence or inquiries or information which will help us achieve our goals. E−MAIL or visit our WEB SITE . The West Tarring Working Mens Club, Pavilion Road, Worthing. Women's Royal Army Corps Dinner Club. For further details contact their WEB SITE or send an E−MAIL . Please email us with any additions or corrections.